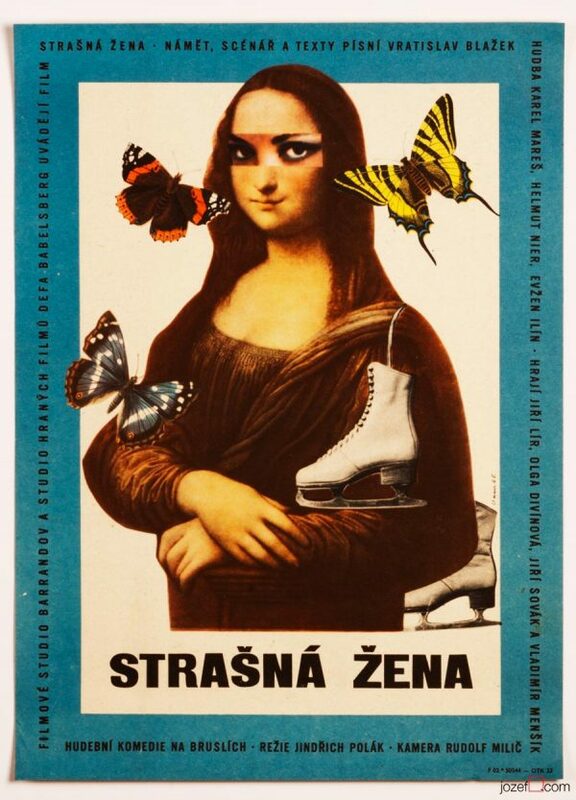 Movie poster for Russian fantasy tale with fantastic collage by Czech sculptor / fine artist Miroslav Zahrádka. 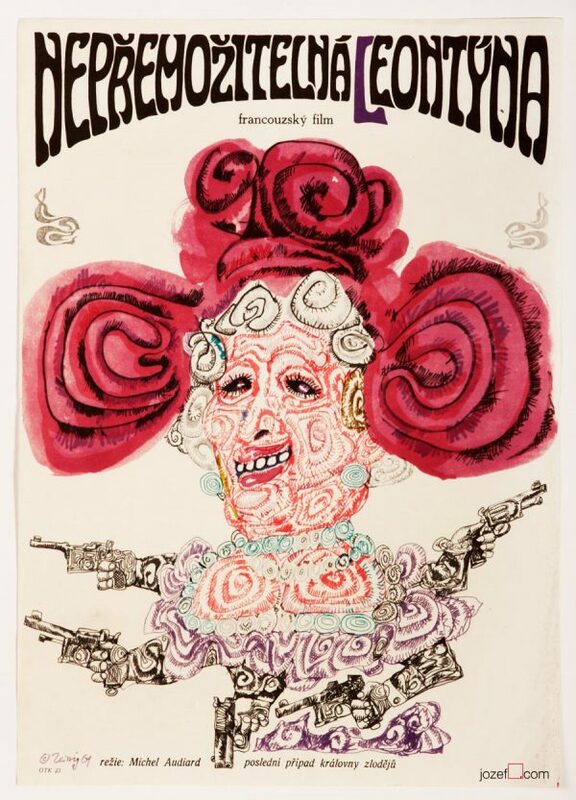 Cheerful collage poster design for 60s Russian comedy. Poster is folded in the middle. Slight crease with several little cracks and soft stain on edges. Cinema stamp across the top part. Folds and pinholes in corners. Soft scratch mark in bottom left. Light misalignment in registration in bottom part. 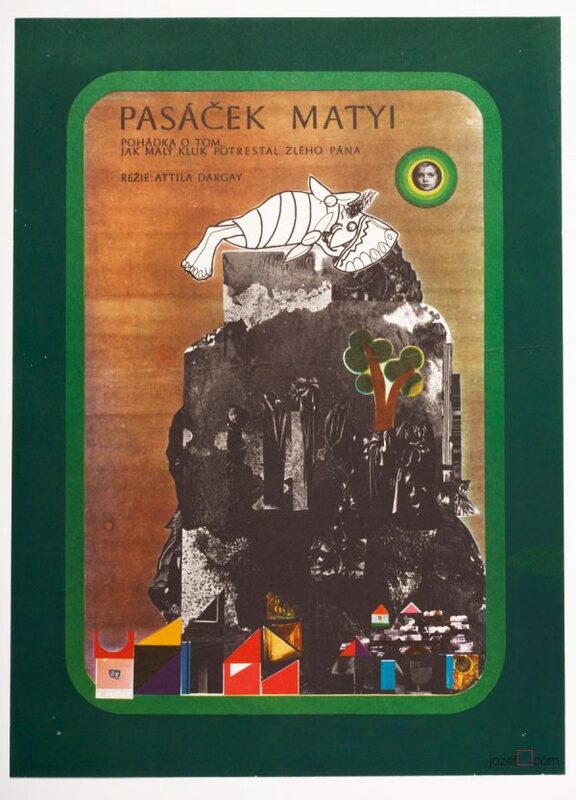 Movie poster is in A3 format (40.3 x 30 cm). Very nice condition (NOT PHOTOGRAPHED, PLEASE ASK IF YOU WISH TO SEE A PHOTO). 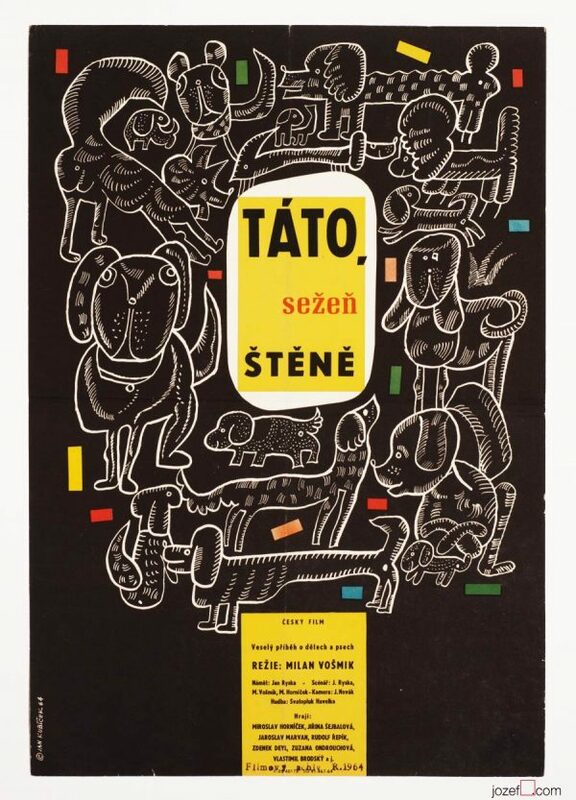 1960s movie posters designed in Czechoslovakia. 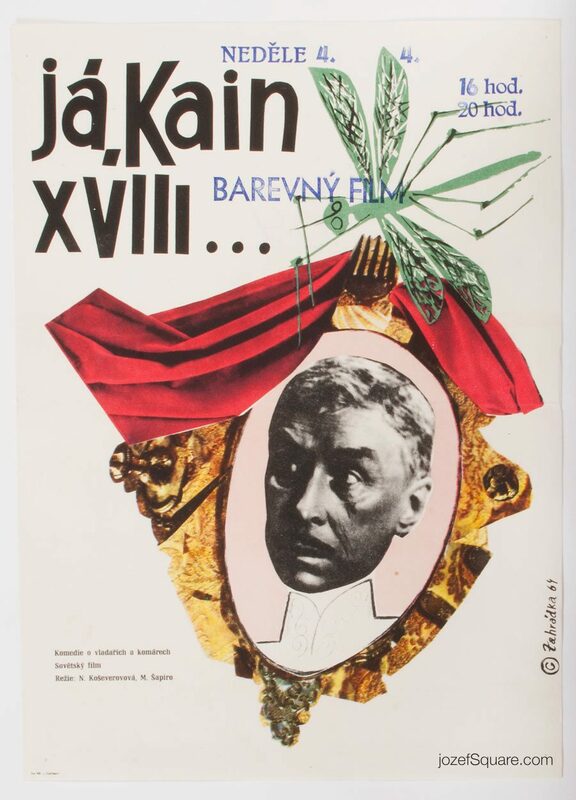 Be the first to review “Movie Poster – Cain the XVIII-th, Miroslav Zahrádka, 1964” Click here to cancel reply.